PA Dog Rescue is a 501(c)(3) non-profit organization. Help the cause and donate today! Your donations are tax deductible to the fullest extend of the law. If you require a receipt for any donations, please use the Contact Us page with your e-mail address included, and we will send it to you. Rescuing dogs is expensive. Donating money is a great way to help us offset our expenses. Your donation will help cover food, medical costs, and other expenses associated with saving dogs. Click the PayPal logo on the left to be redirected to PayPal’s secure website for processing. Monetary donations aren’t the only way to help PA Dog Rescue. 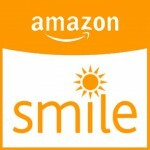 There are many additional ways in which you can help including Amazon Smile and social media. Amazon Smile operates the same as regular Amazon, except a portion of your purchase price automatically gets donated to PA Dog Rescue. Use this link to select PA Dog Rescue as your charity. Spread the word! The more followers we have, the easier it is for us to find our rescue dogs a home. 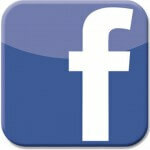 Please like us on Facebook and invite your Facebook friends to do the same as well. On the left side of our Facebook page, there is a link that reads “Invite friends to like this Page”.